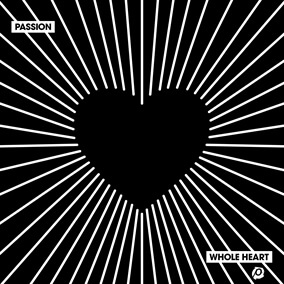 Two New Singles from Passion - "Almighty God" & "More Like Jesus"
Recorded live with the sold-out backdrop of Atlanta’s Philips Arena, Infinite Energy Center and Washington D.C.’s The Anthem, Whole Heart is the newest collection of songs from Passion and is now available to pre-order. Passion 2018 brought together more than 32,000 students from 700 universities and 35 countries to three arenas in Atlanta and for the first time Washington D.C., in addition to a simultaneous live stream. Last week, we released the Original Master MultiTracks for the album's first two singles, "Whole Heart" and "God, You're So Good," and now we're excited to bring you two additional tracks from the album: "Almighty God," a powerful anthem of exaltation that acknowledges what Jesus did for us on the cross and "More Like Jesus," which expresses a heart of surrender, declaring, "If more of You means less of me, take everything. Yes, all of You is all I need. Take everything." Whole Heart releases next Friday, Feb. 23. Pre-order the album today and you'll receive instant downloads of all 4 of these incredible new singles and you can now find the worship leading resources for each here on MultiTracks.com.